The Hubertus, Orangery and Johannis Halls are in the Orangery tract of Nymphenburg Palace. 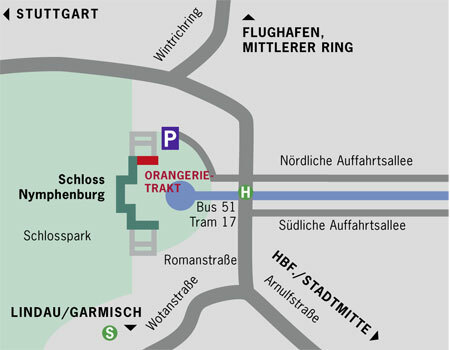 They are conveniently located in the west part of Munich around 15 minutes from the city centre and easy to reach by public transport (bus and tram, "Schloss Nymphenburg" stop). There are car and bus parking places in the immediate vicinity.